Molly DeMarco, joined by her parents, receives the President’s Volunteer Service Award. 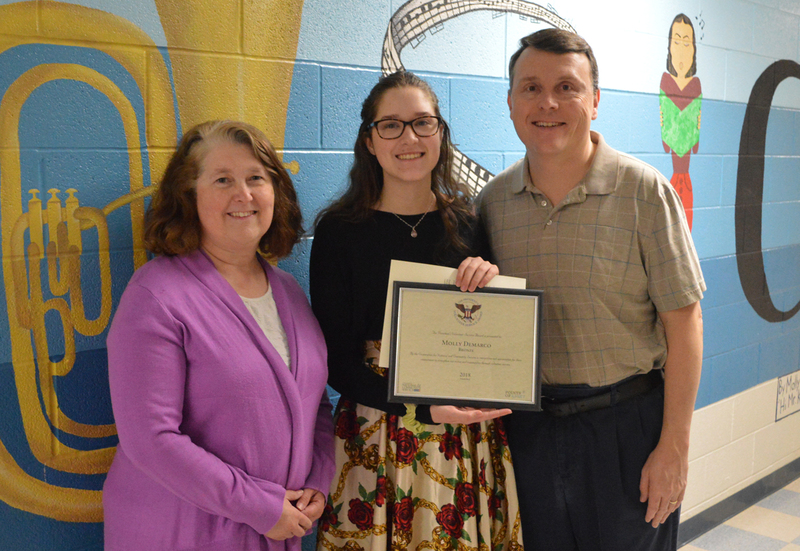 Columbia High School senior Molly DeMarco received the President’s Volunteer Service Award on Thursday morning in recognition of her outstanding community service this school year. After graduating in June, Ms. DeMarco plans to attend SUNY Oswego in the fall where she will major in both history and music.